Fredericton’s calendar is jam-packed with award-winning festivals. From music to food to crafts to cultural celebrations, we’ve come up with a reason to party nearly every weekend this summer. It can be hard to pick just one and I don’t like to play favourites so we threw the question out to our Fredericton Tourism Facebook friends for a few of their suggestions. We had lots of great suggestions but here are four can’t-miss festivals in Fredericton this summer! 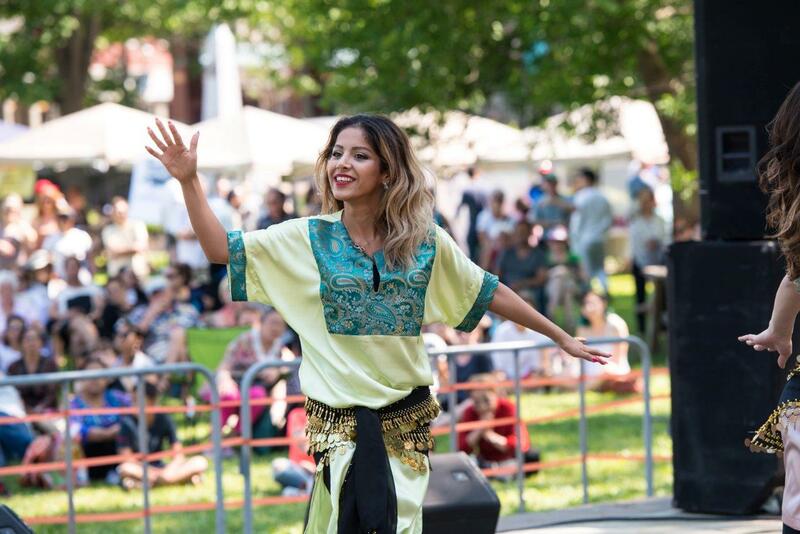 A relative newcomer to Fredericton’s festival scene, the Cultural Expressions Festival is a three-day celebration of the Capital city’s growing diversity. Enjoy 90 dance and music performances, displays, food, a parade and family activities in Fredericton’s Historic Officers’ Square. And even better? Admission is free! The Cultural Expressions Festival is June 22 to 23. Find out more about this year’s line-up here. A riverside statue of Robbie Burns, pipers at the Changing of the Guard and one of the world’s finest whiskey bars… Fredericton’s Scottish heritage is prominently on display. The celebration reaches its peak in July with the New Brunswick Highland Games Festival on the historic grounds of Government House. Listed as one of New Brunswick’s ‘Top Festivals’ and one of the American Bus Association’s 100 Best Events in North America for 2011, 2012, 2013, 2014, 2015, and 2016, the event draws hundreds of competitors and performers from across Atlantic Canada, Ontario and the Eastern seaboard. Heavy events, competitions, demonstrations and clan gatherings offer great entertainment throughout the weekend but the highlight is the massed bands bringing together hundreds of pipers and drummers for an unforgettable musical experience. The New Brunswick Highland Games take place July 27-29, 2018. Get all the details here. As home to New Brunswick’s professional Anglophone theatre company and numerous emerging and community companies, Fredericton has a vibrant theatre community. Home grown theatre and talent is the name of the game from July 24 – August 4 with NotaBle Acts Summer Theatre Festival. From short plays at lunch-time in Fredericton’s downtown to full-length productions, workshops, readings and site-specific plays, there’s a wide variety of scripts written and performed by local theatre talent. A highlight is always the production of the winning scripts from the one-act playwriting competition. The crown jewel in Fredericton’s festival year, Harvest Jazz and Blues marks its 28th edition in 2018. Over the course of six incredible days more than 400 musicians entertain audiences on 20 stages throughout Downtown Fredericton. The party atmosphere spills out of the tents and venues and on to the streets as Queen Street is transformed into a pedestrian boulevard full of buskers, artists and food. There are events for all ages and all budgets including many free performances around town. Our Facebook fans shared a lot of love for the great local music festivals in the greater Fredericton area, including Nashwaak Music Festival and Feels Good Folly Fest. Our music and nightlife blogger Emma Chevarie will be giving you the inside scoop throughout the summer. Fredericton offers a non-stop line-up of festivals and special events throughout the summer so be sure to follow Fredericton Tourism on Facebook and Twitter for the latest festival news.